Jewish Home is collaborating with THE GREEN HOUSE Project to radically transform skilled nursing care in the New York area. In Westchester, elders now have a new option – The Small House Communities at Sarah Neuman. It’s not your grandmother’s senior home – but we’d love it if your grandmother makes herself at home here! The Small House communities embody the innovative Green House approach to eldercare. 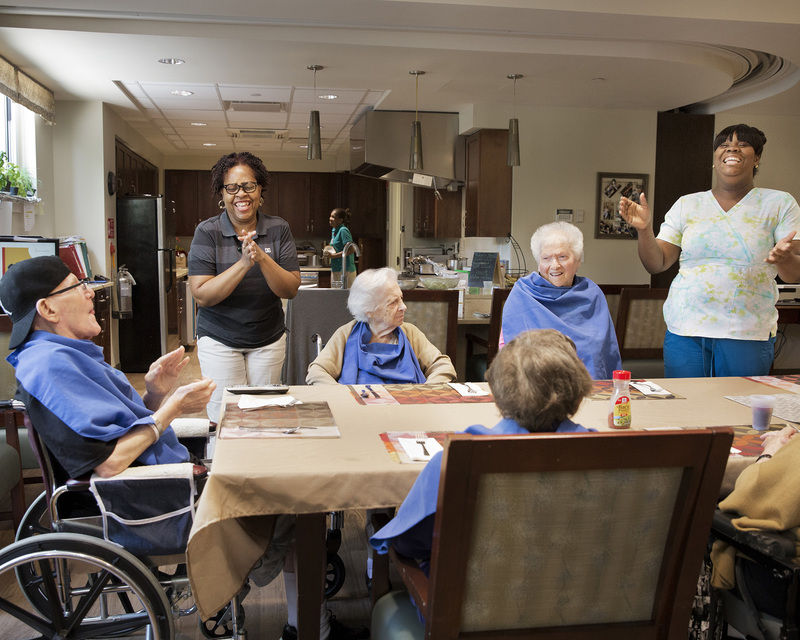 Residents live in homes rather than in a traditional nursing home environment, and still enjoy the highest standard of skilled care. Read more about The Green House approach in this Frequently Asked Questions article and summary of research about the Green House model. From the opening of our first Small House community in 2014, life in the Small House has centered around the needs and preferences of the residents. Wake-up times, activities and mealtimes are based on personal preference – not institutional convenience. Each Small House revolves around a suburban kitchen where meals are prepared each day and shared in a communal dining room. The living room boasts a common hearth as well as a den. The modern, homelike physical environment of each community creates an intimate setting that combines the warmth of living in one’s own home with hands-on care. 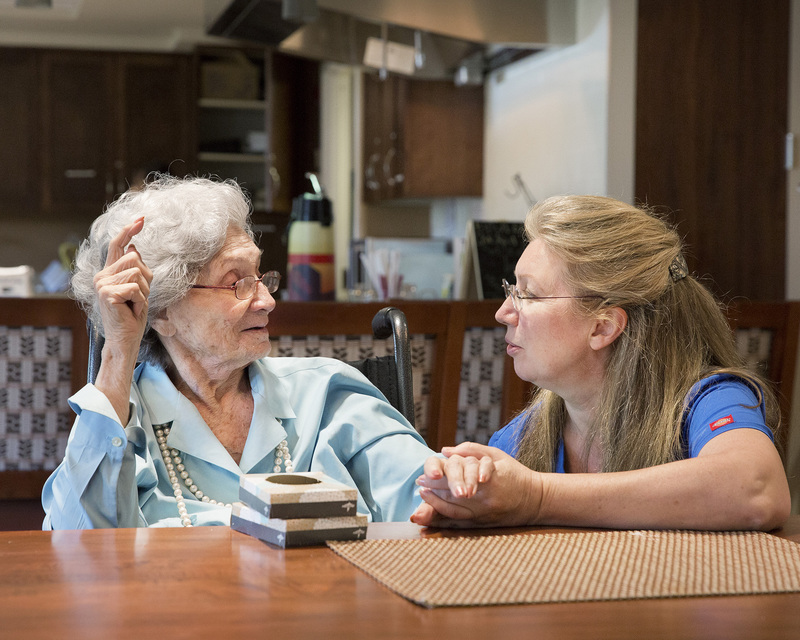 The staff has a role far different from that in a traditional nursing home. Called Adirim (from the Hebrew word for ‘noble’), the care partners at the Small House communities all share cooking, housekeeping and the daily caregiving for the residents. They truly become a part of this unique and life-affirming community. Ultimately, Sarah Neuman will include five Small House communities on three floors that will be home to 63 elders. The Small Houses include private or semi-private rooms, each with its own bathroom and shower and shared spaces. Also in the works in the Green House model will be The Living Center of Manhattan. The Jewish Home’s new building will be New York City’s first nursing care residence to operate according to the Green House model of eldercare. It will also be the first Green House residence to be built in a major urban center.